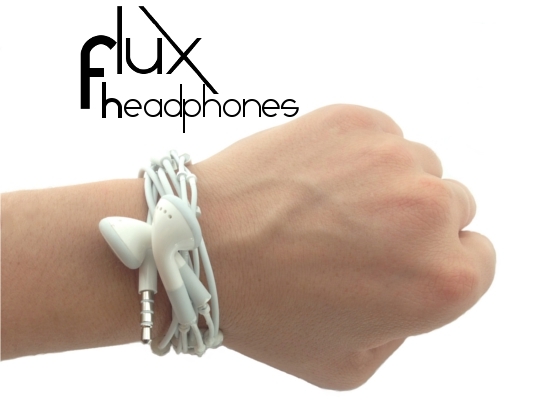 Learning Center> Blog > Uncategorized > Featured Startup: Flux Headphones! The headlines have said it all: “Young entrepreneur solves Apple's most common product problem – tangled headphones.” Matt Scandora first began his journey to solve the issue of tangled headphone cords after playing with tiny spherical magnets; he began taping the magnets to headphone cords. To improve the aesthetics of the headphones, Matt soon started to glue the magnets to the cords. After finding a headphone manufacturer willing to work with his vision, Flux Headphones were born – the magnets are now embedded inside of the cords to produce a sleek, modern look. These magnets keep the headphone cords tightly clasped together to eliminate tangling; as an added bonus, these bad boys use the very small amount of extra weight to keep the ear buds anchored firmly in the user’s ears. After working hard to produce samples for media outlets, Matt’s product has generated massive amounts of interest all over the Internet and in the media. The Metropreneur, The Examiner, and Shoe String Startups are just a few of the outlets that have covered this revolutionary product. The media attention is beginning to pay off – Flux Headphones are currently at 12% of their $45,000.00 Fundable goal with just over 45 days left for funding. To see more information, check out their Fundable page at: http://www.fundable.com/flux-headphones#profile.